After achieving tremendous growth and increased community support, Bear Yuba Land Trust (BYLT) Executive Director Marty Coleman-Hunt is stepping down after 13 years at the helm. For 11 years, Coleman-Hunt led the organization as the executive director after serving on the board of directors as secretary and fundraising chair for two years. Under her leadership, the organization: became accredited by the Land Trust Accreditation Commission, grew its land conservation footprint by nearly 10,000 acres and expanded a trail program from four to 32 miles. Today, BYLT owns 10 public nature preserves and manages 28 conservation easements in Nevada, Sierra and Yuba Counties, from the crest of the Sierra Nevada to the valley floor. In the fall of 2017, BYLT welcomed Erika Seward as Development Director, who spent the past decade in management roles within the corporate and non-profit sectors for ESPN, The Walt Disney Company, B4BC Foundation, SIMA Humanitarian Fund, and locally Bear Yuba Land Trust, KVMR and the Nevada City Film Festival. She and Conservation Director Erin Tarr, now in her sixth year, will serve as acting Co-Executive Directors as the organization undergoes a formal candidate selection process for the executive director. On January 1, BYLT appointed long-time board member and supporter Fran Cole (Attorney) to President. With the announcement, BYLT shows no signs of slowing down with a goal of conserving 20,000 acres by 2020. In the coming months, BYLT will roll out its new strategic plan outlining a portfolio showing protected land that is doubling in size with the conservation of upper watershed lands and the historic Robinson Ranch in Penn Valley. In recent weeks the Land Trust announced the permanent protection of 857 acres owned by PG&E surrounding five alpine reservoirs known as Lindsey Lakes Conservation Easement in the Grouse Ridge area of the Sierra Nevada. BYLT’s land conservation footprint will continue to expand with secured funding for critical regional projects. In addition to conserving land, the land trust team is a key player in the planning and construction of an 80-mile multi-use trail linking the towns of Nevada City and Truckee, called Pines to Mines. BYLT continues to expand outdoor recreational amenities at Rice’s Crossing Preserve, which spans 2,700 acres and six miles of the Yuba River below Bullard’s Bar Reservoir. Rangeland health is the main focus at Garden Bar Preserve, a 652-acre working cattle ranch on the Bear River, where regenerative grazing methods are being implemented. Coleman-Hunt will continue to support BYLT as she transitions from organizational management to a consulting role. She plans to continue to advocate for land conservation in the Sierra Nevada region and will continue serving as a Commissioner for the Land Trust Alliance, a national conservation organization representing more than 1,700 land trusts across the United States. 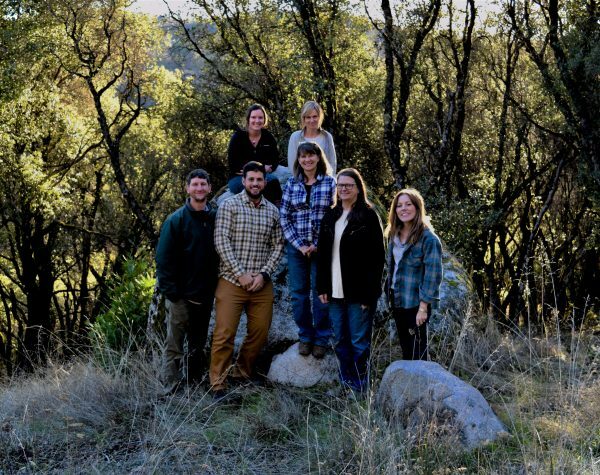 Bear Yuba Land Trust is a private, non-profit, membership-supported organization that works to promote voluntary conservation of the region’s natural, historical and agricultural legacy. With community support, the Land Trust provides a lasting heritage by protecting and enhancing meadows, watersheds, forests, farms and ranches, trails and open space. Since 1990, BYLT has protected more than 13,000 acres of land from development, built more than 30 miles of local trails, and each year inspires hundreds of people to get outdoors for treks and events. BYLT’s mission is to enrich a deep community connection with the land − today, tomorrow, and forever.